19 female with slowly growing mass on thigh for 1 year. Describe the appearances and possible diagnoses. 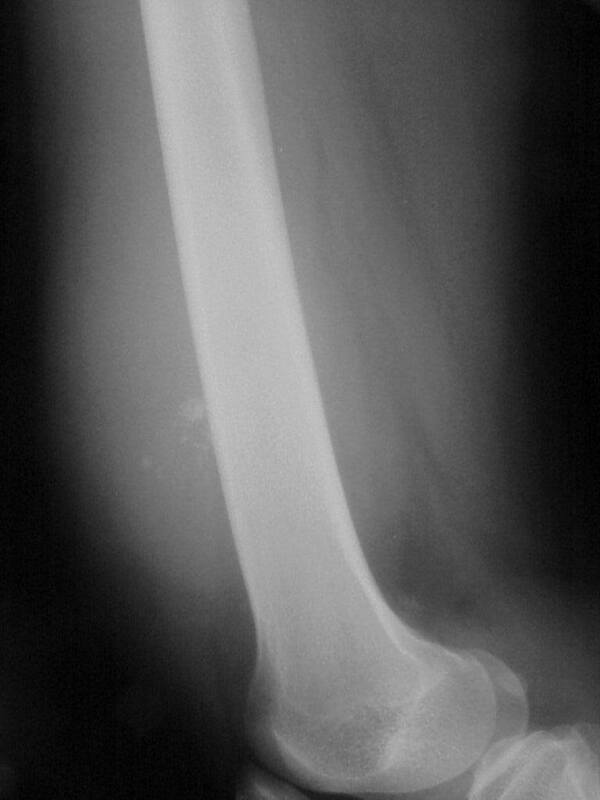 Soft tissue mass with central amorphous calcification. No bony changes. 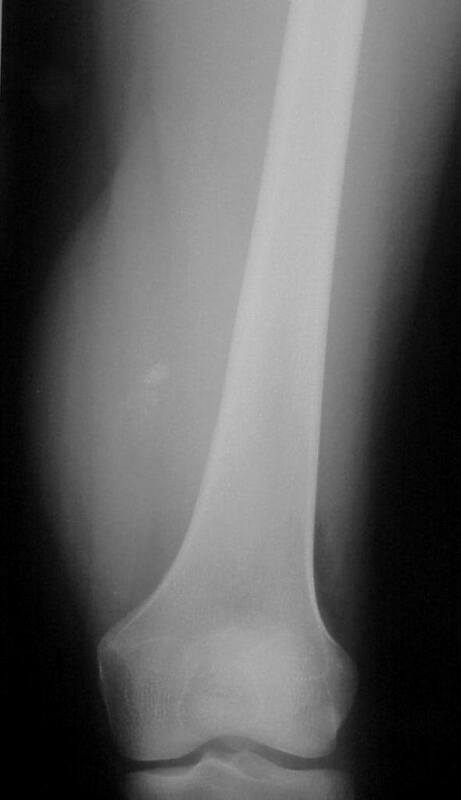 Other malignant causes of soft tissue calcification include synovial cell sarcoma, and rarely any soft tissue sarcoma.